Most video,audio players, update agent (Microsoft, Google) request small chunks of the file at a time, and then request more later. 206 partial content is sent when the user-agent specifically requests a specific range of the file, rather than the entire file. In many cases the proxy is not able to cache partial requests. You can see the “Partial” entry in the real-time monitor. You can enforce caching partial content with the Partial content list. 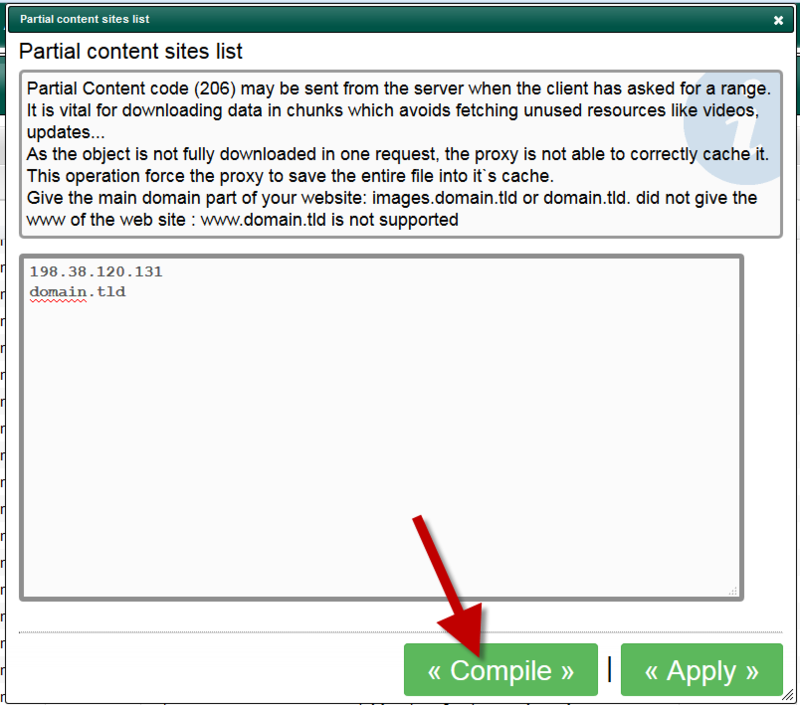 Add the website you want to enforce caching for the Partial content.